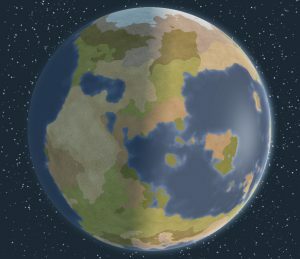 I’ve just released Alpha17b, a performance hotfix for Alpha17. Steam users will get it automatically, while non-Steam users can download from their existing permanent download link (there won’t be an update email sent out). This is build 0.17.1557. When we made the targeting AI smarter in Alpha 17, we also made it harder on the CPU. Players in late game were seeing drastically reduced performance. Alpha17b optimizes this and several other things. There are no changes to gameplay – just optimization of what’s there already. This update will work with your existing saved games, XML-only mods and (hopefully) most or all code mods. If for any reason you want to continue on the older version, you can set your Steam beta branch to ‘alpha17a’. Sorry for any disruption! We’re also hard at work on Alpha 18. We recently asked whether players would rather have the bugfix-only update released, or if they’d prefer we just kept working and waited until we had new content to release. The results aligned with my personal thinking, which is that the disruptive effect of a release (breaking various compatibilities) isn’t worth it for a bugfix-only release. So, we’ve been adding new content! 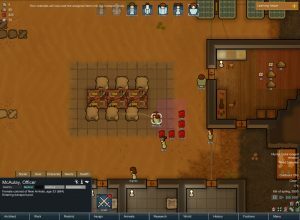 Alpha 17 will basically be two updates combined, where one of them was a refinement-and-fix overhaul. Roads and rivers across the world (multiple categories of each). 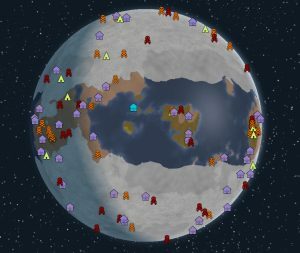 Enemy AI overhauls. They’ll be harder to cheese in various ways and act more sensibly. A new class of incidents that initiate quest opportunities on the world map. These are driven by a new combinatorial “site” system that allows us to create destinations to go to out of multiple “pieces”. This creates more variation than we would get if we just had single quest destinations. Now we can take any “site core” from a library, surround it with “site parts” from another library and the system will generate them all together. 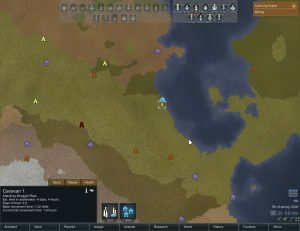 So, you could have a core that is a stash of gold, and add on “manhunter animals” and “abandoned turret line” around it, and the map generator will combine those. The number of possible combinations can get large quickly. This update will keep it pretty basic, but for future updates I hope to have larger site part libraries, which will create massive variation. People can tend their own wounds now! Tons and tons of rebalancing and detailed redesign to make skills matter more, make the economy more coherent and balanced, make animal farming for meat viable, make cannibalism a bit less ho-hum, make surgery not absurd, make room stats matter in a sensible way, make storyteller incidents more varied, and so on. Based on man-hours, Alpha 17 will probably be the most substantial update yet. 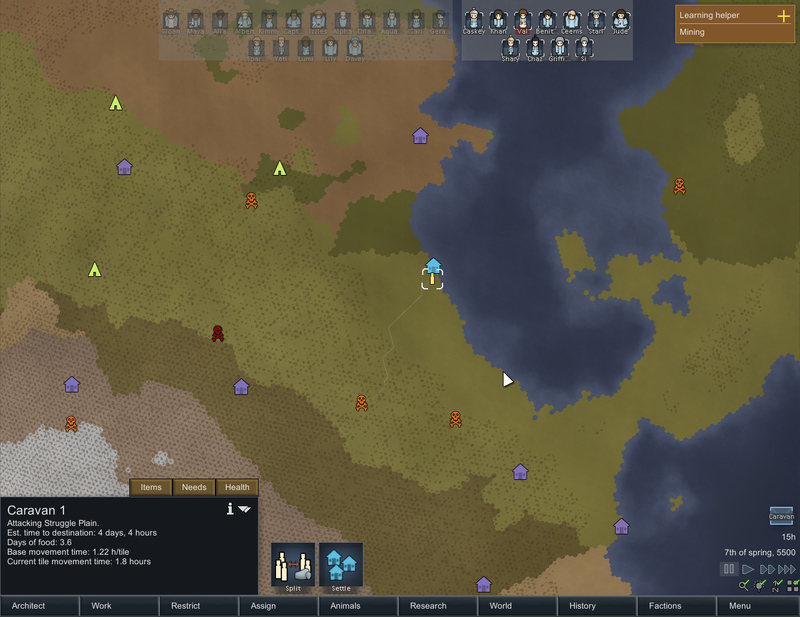 RimWorld has become quite a beast in terms of design complexity, so it does take a lot longer now to design and tune things so they integrate into the rest of the game well, don’t overwhelm players with complexity, and don’t create weird exploits or nonsensical outcomes. But, that’s all part of the inherent challenge of designing a tightly-integrated, wholly-procedural colony sim! Still working, no release date! To discuss this post, please join us on the forum thread for this post. If you’re on Steam, your game will update automatically. Because of huge structural changes to the game, this update will break save games. If you want to continue an old save just change to the “alpha15” beta branch on Steam. To do so, go to Steam library, right-click RimWorld, click Properties, click the Betas tab, and use the drop-down to select the branch you want. If you’re not on Steam, just download from your permanent personal download link – it’s always updated to the latest version. The mood effects from room impressiveness have been redesigned and rebalanced. 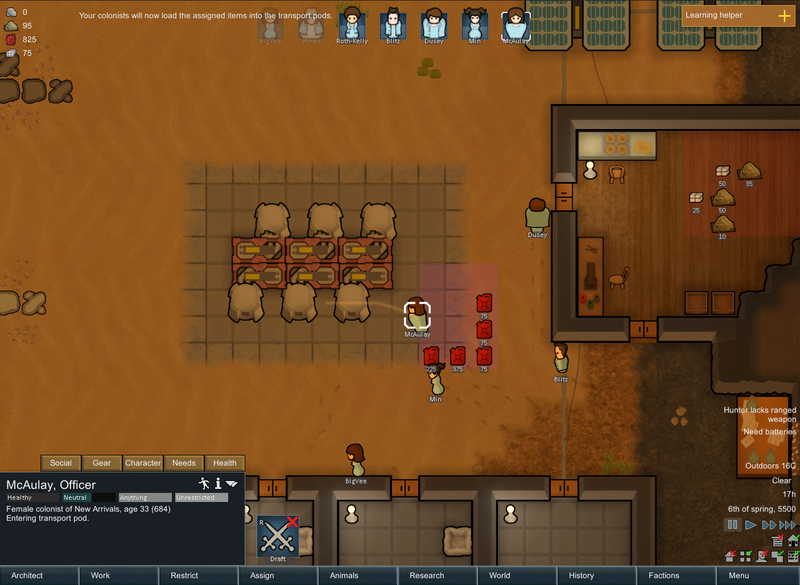 Characters now have consistently reasonable thoughts about the quality of their personal room, so there is a reason to make better rooms (though high-quality rooms aren’t absolutely necessary). Mood effects from eating in or convalescing in nice/poor rooms are also more reasonable and better-fed back.